This photo once belonged to Percy Witty, a well-know local choirmaster connected with Hadleigh Congregational Church. The reverse is marked “Sunday School outing 1929”. 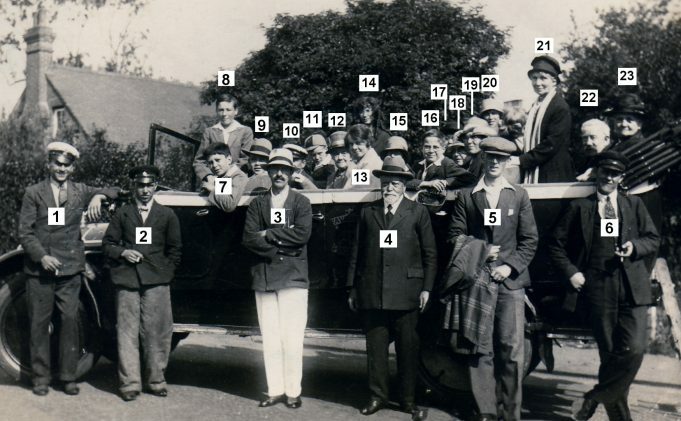 Can you help name the people in the photo? The only name known at present is No 4 – Mr Morgan. Any information on the location would also be of interest.